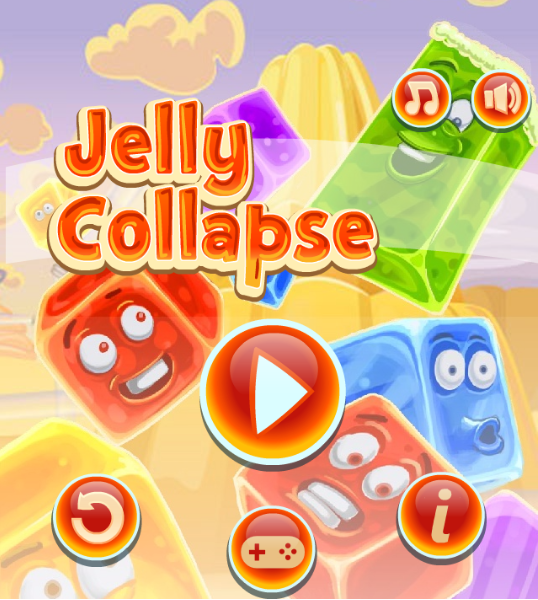 Jelly Collapse is one of the highly-recommended game in fun puzzle game suggested for all players at all ages. 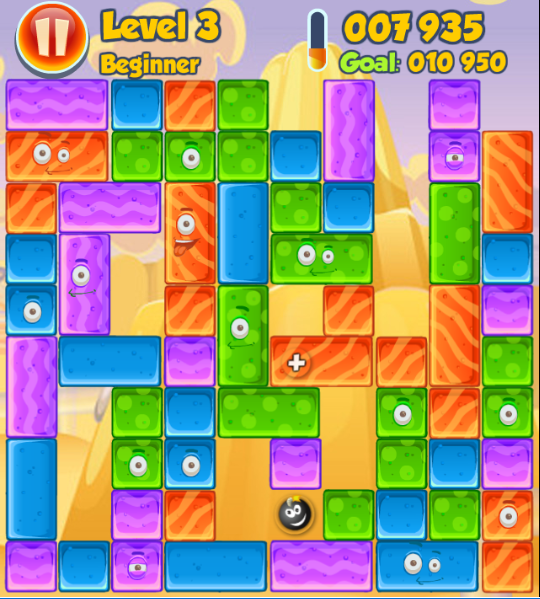 Participating in this cute game, player’s mission is to remove large of blocks of jellies of the same color. 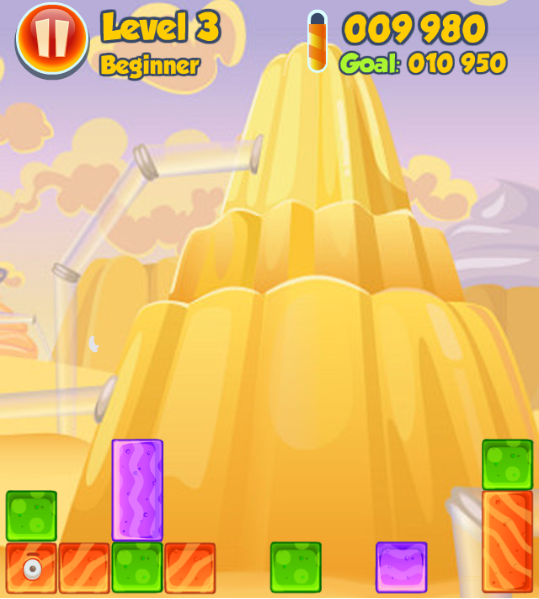 If you combine a large chain of the same colored jelly, you will get the high score. Especially, bombs will be a gift if you can set an extra large group. 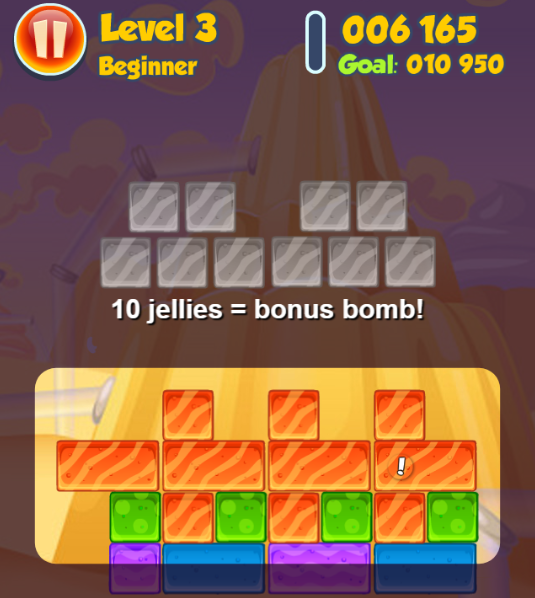 Bombs help you clear a larger area, so more blocks drop and more chances to clear the level. Try to get high points to move to later levels. Let’s your mind make the game easy to conquer with clever strategies. This game is a good choice for players to relax at free time with friends. 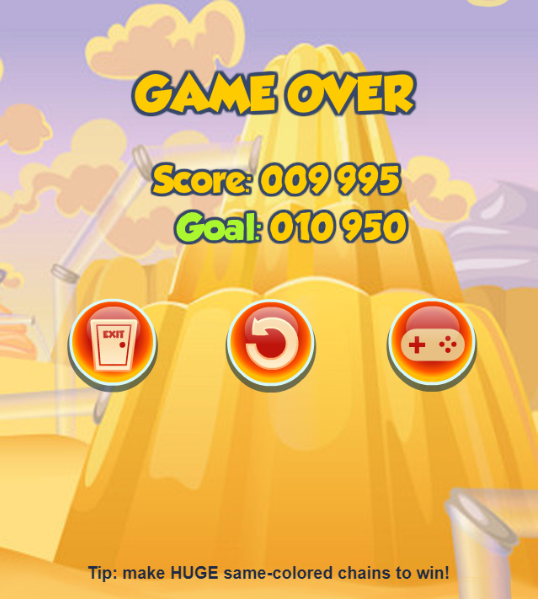 With more than one hundred level to explore, this game is a real challenge for you. Which level can you beat? Get started and show us! Play hot games online free, download game for mobile, smartphone, matching games, matching game, puzzle games on 123fungames.com.